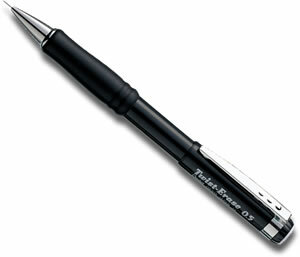 The excellent Pentel Twist Erase has a jumbo sized eraser (for when we all make the odd mistake!) that is twisted up from the barrel. It has a lovely rubberized grip for comfort and a lovely, reassuringly chunky feel in the hand. Loaded with HB leads and available in 3 different sizes.